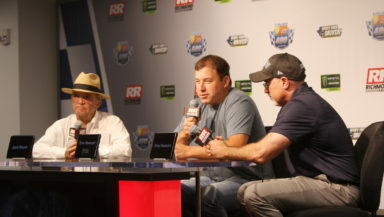 RICHMOND, Va. (Sept. 22, 2018) – Roush Fenway Racing announced today that veteran NASCAR driver Ryan Newman will take the reins of its iconic No. 6 Ford Mustang, competing full-time for Jack Roush in the Monster Energy NASCAR Cup Series in 2019. During his celebrated career, Newman has accumulated 18 victories, 51 poles, 112 top-fives and 246 top-10 finishes competing at NASCAR’s highest level.